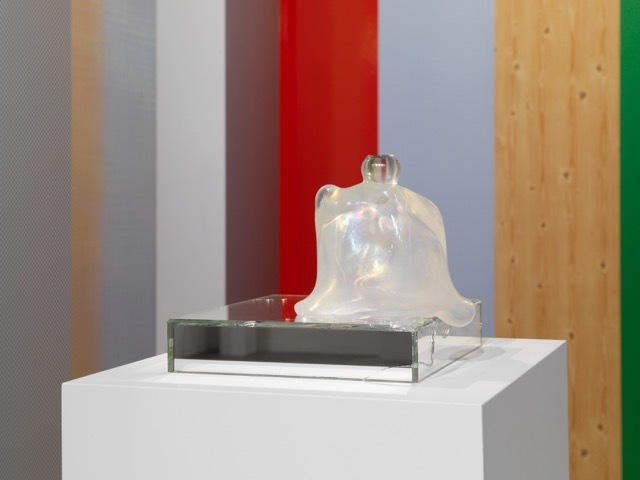 John Armleder, Swiss renowned Artist, produced a limited edition of 5 unique jewel box sculptures in blown glass for Suzanne Syz’s designs. Named after a Japanese pastry “Dorayaki”, these sculptures are composed with a broken mirror base on which a bell jar lies. The bell jar is made out of iridescent glass; a technique borrowed from the 19th century Art Nouveau movement, used at the time to create pieces of jewellery. 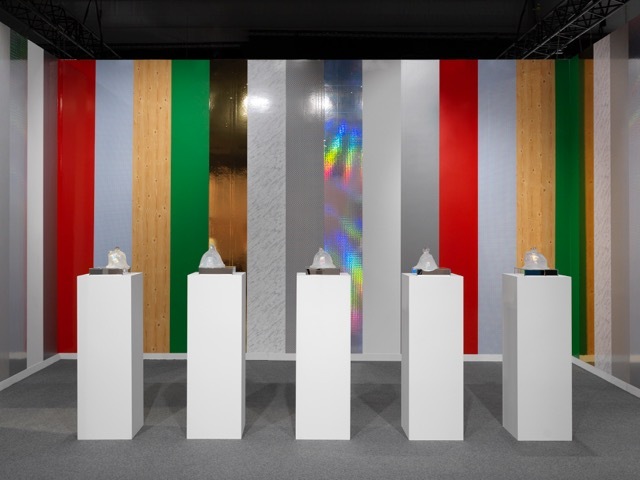 John Armleder wanted to present its new production in an installation that took place as a wall artwork called “Slash”. For each sculpture, the collector will choose a unique piece of Suzanne Syz Art Jewels that will integrate the sculpture. Each one-of-a-kind piece of Suzanne Syz is exclusively produced in Geneva. This collaboration reflects Suzanne’s passions for the Swiss savoir-faire, Contemporary Art and the Jewels, in one unique object.